It has been reported (by Prolific North) that Manchester’s Sumners might be in trouble. Once the doyen light of the Manchester post scene, Sumners has had a forgettable couple of years, downsizing to a point where there are reportedly only 11 personnel left at the company. Prolific North raised the alert about Sumners after a number of freelancers approached it to say they hadn’t been paid by Sumners, a situation which co-founder Janet Sumner confirmed was true. According to Prolific North, she then refused to comment about the reasons why payments had been withheld or talk at all about the future of the company. 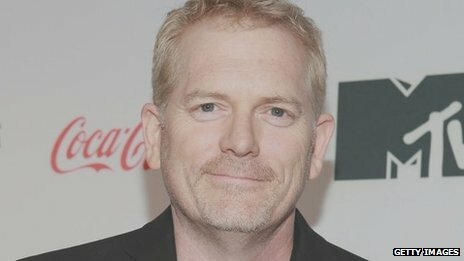 Sumners has recently worked on Young Dracula, Restaurant Wars: The Battle for Manchester, The Mill and Psychobitches. Author Anon PedantPosted on 30 July 2014 Categories Latest NewsLeave a comment on Sumners in trouble? I grew up with the assumption that being a successful woman with a sustain- able career in television was an achievable normality. My mother Jan Beal started out as a news copytaker in the 1960s and went on to achieve great things in a very male-dominated environment. I’m not sure my daughter will feel the same. My contemporaries and I are largely freelance and have no long-term career expectations. After a recent panel discussion on women in TV at a top media university, I was surrounded by young girls telling me of their experiences.They were excited to see a number of female speakers on the panel, but they surprised me in their assumption of a basic division that boys do the technical jobs and girls take on the production roles. When these girls enter the workplace, thankfully they won’t face the old-school sexism that others have grown up with. Incidents ignored, or seen as part of the job, only 10 years ago are no longer acceptable. The line is clear and women are more respected by their male colleagues than ever. Young women make great strides in TV and are encouraged to do so. Over the years, formal and informal mentoring of young women has made a real difference. But it’s not just sexism, everyday or otherwise, that we have to overcome now in 2014 – it’s practicalities. This is where I think the major difference lies between my generation and my mum’s. It’s a challenge for a woman in her midthirties to have a family and keep working, especially if she is a producer/director. Our predecessors had staff jobs, maternity leave and pensions. It’s tough to bring up a child amid the instability of a casual workforce with demanding filming schedules – but the peer-led organisation Media Parents can be a great help. We need more flexible working hours, clearer, thought-out production schedules and job shares. None of this is groundbreaking – we just need to do more. When a woman hits her mid-thirties, she’s in her creative stride. That’s when we need to retain talent – not lose it. Ageism combined with sexism is still at play. Women tend to leave the industry by the age of 50 and I wonder how much of this is by choice. Over the past 10 years, I’ve watched my mum’s contemporaries have to fight for jobs they are more than qualified for. Yet despite some of the setbacks, I believe we can make this current television landscape work, and some are already leading the way in suggesting improvements. My mum’s generation led the way too and we can continue to break that glass ceiling to achieve all they dreamed of. *Has the BBC fluffed its renewed commitment to diversity already? BBC Scotland has been warned to stay within the law over multiple full-time, unpaid “voluntary runner” roles it advertised earlier this year, to work at a live event coinciding with the Glasgow 2014 Commonwealth Games. The advert was placed shortly before the corporation announced a renewed commitment to improving diversity among its staff, and the placements are happening now. BBC at the Quay is a live, pop-up festival coinciding with the Glasgow 2014 Commonwealth Games and the accompanying city-wide cultural celebration Festival 2014. The site, in front of BBC Scotland’s HQ at Pacific Quay, will host a wide variety of live radio and television programmes and recordings as well as non-broadcast events originated both by the BBC and external organisations. We aim to offer visitors of all ages a memorable, entertaining and high-quality experience in a safe environment. We will celebrate the cultural diversity of the Commonwealth using big BBC brands in a curated programme of events targeted both at audiences who already love the BBC and those who are harder for us to reach. The site will be open for 16 days from Friday 19th July – Sunday 3rd August 2014. We are looking for Volunteers who would be available for the entire period to help us run the event smoothly. There will also be a Volunteers Briefing on Thursday 17th July which you will be required to attend. These are full time positions. This is an excellent opportunity to gain hands-on experience in live event production during one of the most exciting sporting events ever to take place in Glasgow. As a volunteer you will also have the chance to learn from industry professionals from all areas of the BBC such as TV, Radio and Events. There will be a variety of daily tasks to carry out as you work across the festival site to support the Events team and the BBC production teams backstage, assist the site’s visitors and perform general Runner duties. Volunteers’ tasks are varied and require a cheerful, can-do attitude. The site is open from 09:00 until 01:00 daily. Volunteers would cover one of two daily shifts, either early morning to mid-afternoon or mid-afternoon to close of site however there may be some variations of this shift pattern to accommodate special broadcasts. There will be a significant amount of interaction with the public in these roles, so it is important that candidates are confident, friendly and aware of their role as ambassadors for the BBC at all times. We are looking for reliable candidates who can work well under pressure, are able to adapt to working with multiple teams, demonstrating clear communication skills and the flexibility to adapt to a wide range of situations. Previous experience of events or production environments would be beneficial, but not essential. PLEASE NOTE: You will need to be based in the Glasgow area as we will be unable to provide accommodation. Travel expenses to and from the site will be supplemented. In addition, Volunteers must attend a briefing on Thursday 17th July at the BBC at the Quay site located outside the BBC Scotland’s headquarters at 40 Pacific Quay, Glasgow, G51 1DA. All volunteers must be over 18. Food & drink will be provided for all Volunteers. Applicants should include a CV, a short reference and a statement about why they want to be considered for this position. My name is Tanya de Grunwald and I run the graduate careers blog Graduate Fog. One of my readers has drawn my attention to an advert for voluntary runners to work at BBC at the Quay during the Glasgow 2014 Commonwealth Games and the accompanying cultural Festival 2014 (pasted below). The advert states that the positions are “full-time” and involve “daily tasks”. As such, can you explain how the BBC feels these positions fit with the UK’s National Minimum Wage law? I would also like to ask how you feel that these are truly accessible to all young people, when they are full-time and unpaid? Thankyou for your email about volunteers at BBC@the Quay. These work experience placements are for the BBC@the Quay ‘live site’ and will be based at BBC Scotland’s headquarters in Glasgow. The site will showcase BBC brands, content and services and provide a destination site for members of the public. The site is part of the BBC’s commitment to the wider cultural programme that is running alongside the Commonwealth Games. The advertised roles will support the running of the site and will involve undertaking a variety of tasks which will allow those successful candidates to obtain valuable skills and work experience, during an extremely exciting time for the BBC and for Glasgow. These roles have been defined in line with our work experience policy; individuals are placed within the BBC for a limited period of time, during which they have the opportunity to learn directly about working life and the working environment in the broadcasting industry. The BBC@the Quay work experience placements will offer valuable work experience to assist individuals in obtaining future employment in the sector. The BBC Work Experience policy has strict guidelines in relation to working hours and shifts and successful candidates will work on a rota basis in line with these requirements. BBC Scotland chose to open these opportunities to the general public in order to allow a diverse range of candidates to apply, and to provide opportunities to those individuals who missed out on the official Commonwealth Games organising committee volunteering placements. This is not a new approach to work experience. BBC Scotland has undertaken similar work experience programmes to support running the Edinburgh Festival site. BBC at the Edinburgh Festivals is entering its fourth year, and each year BBC Scotland have offered similar work experience opportunities to allow local students and members of the public the opportunity to gain valuable experience at such a significant cultural event. Feedback from the volunteers in previous years has been extremely positive. The placements provided development and networking opportunities for individuals trying to establish themselves in the industry or looking to gain new skills and experience. Many of our volunteers from previous years have gone on to secure paid employment with the BBC, in our Runner or Production Management Assistant pools. I would like to reassure you that those who are successful in securing one of the BBC @the quay work experience opportunities will be managed in line with the BBC work experience policy and will also benefit from CV clinics and career support in terms of advice on how to secure future employment with the BBC. These workshops will be an integrated part of their placements with BBC @the quay. Sharon Mair is the Project Executive with responsibility for the design and delivery of the site and would be happy to discuss the programme with you in more detail by phone or in person if that would be helpful. However, I remain unclear on how these positions fit with the minimum wage law, which states that anybody who does work that’s of value to their employer and would otherwise need to be done by a paid member of staff must be paid for their time. I am not interested in how they fit with the BBC’s work experience policy, only how they fit with UK employment law. The fact that ‘shifts’ are involves also suggests that these runners will have set hours, (ie will not be free to come and go as they please) which further cements a ‘worker’ relationship, by law. If somebody is a ‘worker’, their employer must pay them. They cannot waive their right to pay, even if they say they are willing to work for free as it’s such good experience. I am also concerned that you continue to underline how these unpaid positions lead to paid jobs. Surely this only underlines the fact that paid positions are out of reach to those who cannot afford to work for free first? The positions that we have advertised for work experience at the BBC@ The Quay site are support roles, which will be in addition to the several hundred team members working at the site across the duration of the festival. Large BBC productions will be taking place at the site, aided by their own teams of BBC employees. The festival itself is not therefore dependent on the roles of those undertaking the work experience placements. Of course, these positions will provide support to help the event run more smoothly but they are not event critical positions. Therefore they are not positions which would otherwise need to be filled by a paid member of staff. The set hours of the placements are in line with our work experience policy which states that ‘Managers should ensure individuals know their expected daily start and finish times including breaks’. Breaks will also be on a rota and assigned based on the start and finish times. In managing the work experience placements by a rota system, it will allow for each individual to gain exposure to the variety of live productions and events that the site has to offer them in gaining valuable experience. I do hope that clarifies the points you raised. “Our Scottish colleagues have had detailed discussions with BBC Scotland on this and are satisfied that these are work experience placements, and that they will be utilised in accordance with the BECTU-BBC agreements for such placements. Our local branch safety reps will also be monitoring their usage to ensure the agreements are fully adhered to. “We agree that the wording of this advert may look bad, but my understanding is once the detailed arrangements were spelled out, our colleagues were reassured that in practice it’s above board. We’ve encountered this before: a badly-composed ad or listing makes a perfectly acceptable arrangement look dodgy. “We can’t publish the minutes of those discussions because they are the joint property of BECTU and the BBC – that’s how industrial relations works. But the BBC has given us formal assurances about this particular arrangement, and on that basis we believe that it is in line with our agreement. Given BECTU’s excellent record on investigating unpaid work, Graduate Fog is confident that they will do an thorough job of monitoring these roles to ensure that those who have taken them feel fairly treated as true ‘volunteers’. However, we remain concerned that the BBC has yet again shown a lack of understanding about the underlying causes of their diversity problem. Undoubtedly, these runner roles will improve the CVs of those who do the roles. But surely young people from wealthier backgrounds are more likely to be in a position to take them? What about those who need to earn actual money this summer – won’t they be excluded? I hope you might be able to help me with a worthwhile project. I’m helping out with a session at this year’s Edinburgh television festival entitled “HOW TO RUN A BETTER INDIE” which will feature the true stories of the worst things freelancers have ever had to do in the name of making great, and not so great, telly, and I’m looking to gather those examples. I going to use actors/comedians to film a range of anonymous anecdotes (written in a way that will hide their identities) that reveal some of the lunatic demands placed upon freelancers during their career. We won’t be asking people to name names and all the anecdotes will be treated in the strictest confidence so participants shouldn’t worry about their career prospects. This is a chance to vent and share horrifying or hilarious (or both) tales of working in telly. But it will have a purpose- we’ll screen the stories to a panel of influential industry insiders at the festival to see how they react and ask them what they’ll do to make the world we work in a better place. Please don’t hesitate to get in touch if you need any further information. Ford’s accident – involving, as it did, one of the leading men in the most high-profile film currently in production – was bound to make headlines. But many more have gone largely unreported. In fact, it’s the film industry’s dirty secret that accidents – even fatal ones – on film sets are ­shockingly common. In the early days of film-making, death and injuries were almost an occupational hazard.Between 1925 and 1930, nearly 11,000 people were injured during Californian film productions; 55 died. 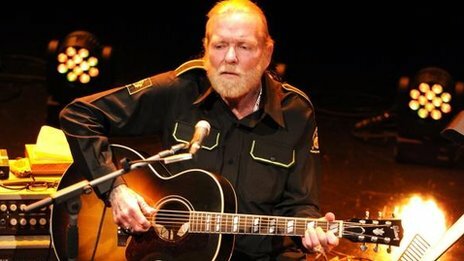 The director of a biopic about singer Gregg Allman, and two of the film’s producers, are facing involuntary manslaughter charges. It follows a fatal train crash on the film’s set in south east Georgia in February, which led to the death of camera assistant Sarah Jones. A grand jury charged Randall Miller, producer Jody Savin and executive producer Jay Sedrish on Thursday. Jones, 27, was hit by a train on the first day of filming Midnight Rider. Seven other crew members were injured in the incident, which saw the camera assistant fatally struck after the crew placed a bed on the railway tracks in Doctortown while filming a dream sequence. It is understood the crew were expecting two local trains to pass through, but a third had arrived unexpectedly. A warning whistle was blown, but they had less than a minute to remove the bed from the track. Miller, Savin and Sedrish are each charged with involuntary manslaughter and criminal trespass, according to a statement from local district attorney Jackie Johnson. The prosecution alleges film-makers had “unlawfully and without authority” entered onto the railway tracks “after receiving, prior to that entry, notice from the owner thereof that such entry was denied”. It remains unclear whether the crew had permission to be on the tracks. Local police investigators say they did have permission to be on property nearby. The manslaughter charges against the film team could bring a possible sentence of 10 years in prison under Georgia law. In a statement, Jones’s father, Richard, said: “[My wife] and I are comfortable that the authorities were both careful and meticulous in investigating and bringing charges related to the incident that took our daughter’s life. 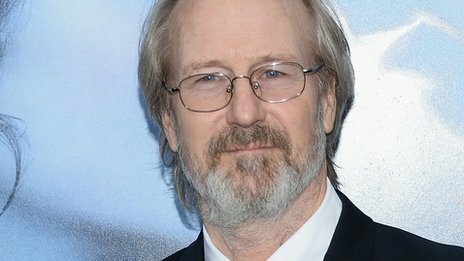 In May, Jones’s parents sued the director, producers and other entities affiliated with the film including musician Allman. The civil case claims film-makers “selected an unreasonably dangerous site for the filming location” and failed to take actions to adequately protect the crew. Employment within the UK creative industries has increased five times faster than the national average, according to new figures published by the Department for Culture Media and Sport. The DCMS’ Creative Industries: Focus on Employment report says that there were 1.71m jobs in the creative industries in 2013, an increase of 10.1% since 2011. The creative industries now account for around 1 in 18 jobs, or 5.6% of all jobs in the UK in 2013. Almost a third of creative industry jobs are based in London, according to the report. One in every ten job held by graduates in the UK is in the creative industries. The film and TV sector has the highest proportion of graduates in the creative industries, with 56.5% holding a degree or equivalent. 63.9% of jobs in film and TV are held by men, 36.1% by women. The report found that a lower proportion of jobs in film and TV were filled by people in the BAME group (8.6%) than in the rest of the UK economy (10.1%). Jay Hunt has made a plea for young women to persevere in the television industry, adding that she was “devastated” by the number leaving the sector. The Channel 4 chief creative officer was the guest speaker at High Flyers, the ROAR Global and Cole Kitchen networking event for under-30s. She told the room: “One of the things I find devastating is the number of women your age leaving the industry, and how many people think: ‘I can’t make it work’. I would encourage all women in the room particularly: please don’t give up. Hunt added that it was a “tough industry” for young people in general, but encouraged the room to “stay committed” as persistence would open the doors to a “very big prize”. That prize, she said, was the opportunity to break into a sector that was becoming “less complicated”. The C4 exec, who joined from the BBC in 2011, stressed the importance of “taking risks”, adding that opportunities to “move sideways” gave her a chance to broaden her experiences and carve out a “luxurious career”. During the Q&A sector of the event, Hunt was questioned about the ethics of programme titles, specifically Love Productions’ controversial series Benefits Street. She said that she “subscribed to a greater good argument” and believed the series shone a light on an important topic in modern Britain. “The show consolidated to 6 million, which for C4 was extremely extraordinary and profound, and got people talking about the underbelly of society. It got people to think about the inequality gap and got us talking about benefits in an important year in the run up to the general election. A company that likes to make money, but doesn’t like to spend it on its junior workers. Shameful behaviour JackFrancis Media! We are looking for a Production Runner that is available for 6 days from the 20th – 25th July. For an apprentice style show for an online audience. Please only apply if you are available for the entire shoot duration. You don’t need bags of experience to apply for this role, however you do need a keen and hard working attitude whilst on set and be willing to work long hours. This is the perfect opportunity for someone looking to gain experience on set and learn from a very talented crew. Please note the role is unpaid. The filming location is in Norfolk, you need to be able to make your own way to location, but your accommodation, expenses & food will be provided for the 6 days. Please include any relevant experience in your application. Why isn’t this paid at least the minimum wage?